● CampusBookRentals occasionally offers discounts on orders with a minimum purchase value. The promo usually lets students take off $10 off orders over $90. In general, however, promos and coupons tend to be few. 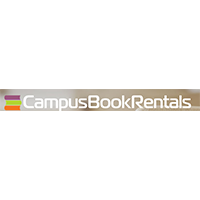 ● Take advantage of CampusBookRentals’ free shipping services. You can receive and return your book for free both ways. ● Check the site for seasonal promotions (example: August 2013 Fall Sale offering $10 off any order over $90 with use of a provided promo code). Over 1-million students utilize Campus Book Rentals to help them get the textbooks they need for their various classes, while also being able to take advantage of substantial savings along this way. This online website offers a fantastic range of books for a wide variety of campus-related demands. You can use this website to build your entire library for the semester, or use the site to grab that one textbook that has been difficult to come by through more traditional means. Saving money on college is a must, and Campus Book Rentals makes it possible to do just that. Searching for specific books is the easiest thing in the world. For most up to date offers check out Campus Book Rentals on Facebook and Twitter or contact Campus Book Rentals Support for any questions.